A skilled hacker and electrical engineer who goes by the handle of OzOnE on the Assemblergames.com forum is hard at work on a fantastic new project that may revolutionise Dreamcast playing and collecting. The project aims to replace the obsolete, mechanical GD-ROM drive with modern flash media instead. You may have heard of the WODE, or Wii Optical Device Emulator, if you haven’t let me explain what it does. 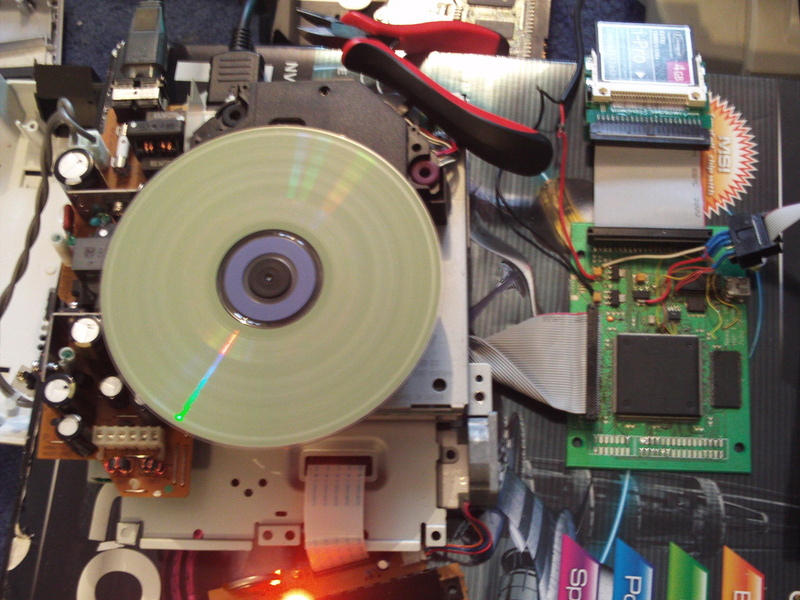 A contraption largely marketed for piracy on the Wii, the WODE emulates the Wii’s DVD drive, allowing DVD images to boot from a hard drive with 100% compatibility. A device like this for the Dreamcast would effectively replace the most error prone component of the console and allow future generations to continue to enjoy the consoles excellent back catalogue without having to use an invariably inaccurate emulator. The project is still in an early stage of development, but apparently small amounts of code are already loading from the attached compact flash media. There’s still lots of work to be done before a whole game will load, and it could be some time before this project is anywhere near finished for mainstream use. Nevertheless, this is exciting work, and we can only hope to see more solutions like this for retro consoles in future. You can read about the latest developments in this project by visiting Assemblergames.